Work as a team to manage your brand's comments and mentions on social media. You can assign messages to other team members and archive completed messages. 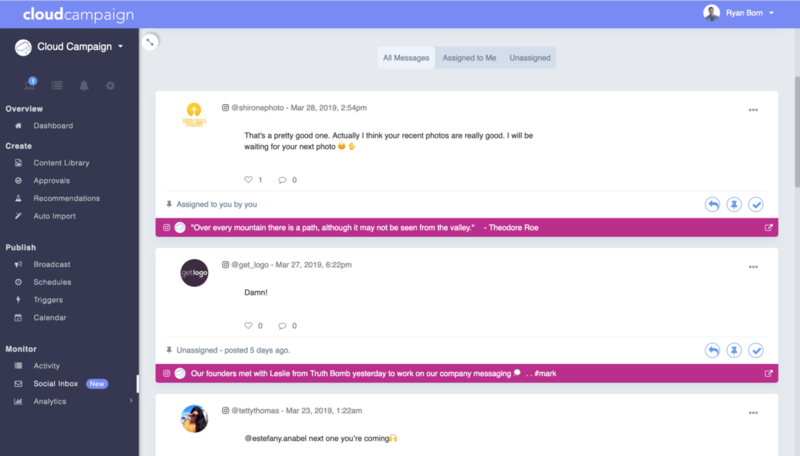 For agencies, social inboxes will be separated by brand. You can now edit multiple content items at once. 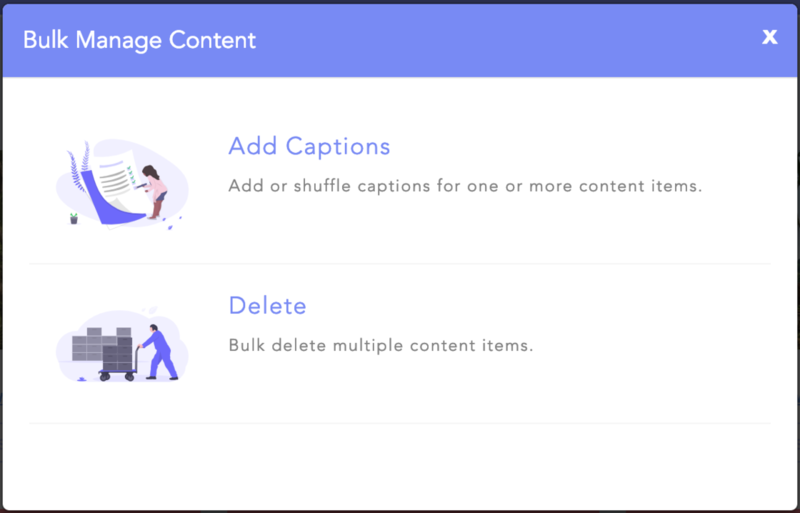 For now, you can add and shuffle captions across multiple content items and also bulk delete. We will be adding more bulk operations in the future. To bulk edit content, hover over the gear icon in your content library and click 'Bulk Operations'. From the pop-up screen, you can select how you want to edit the content. Share multiple images in a single social media post. Currently supported by Facebook and Twitter. Maximum 4 images. Select the primary image to be shared to social media channels that do not support multiple images. Holistically see how many upcoming posts correspond to a given category or account. The stats will update to whatever month is within view on the calendar. 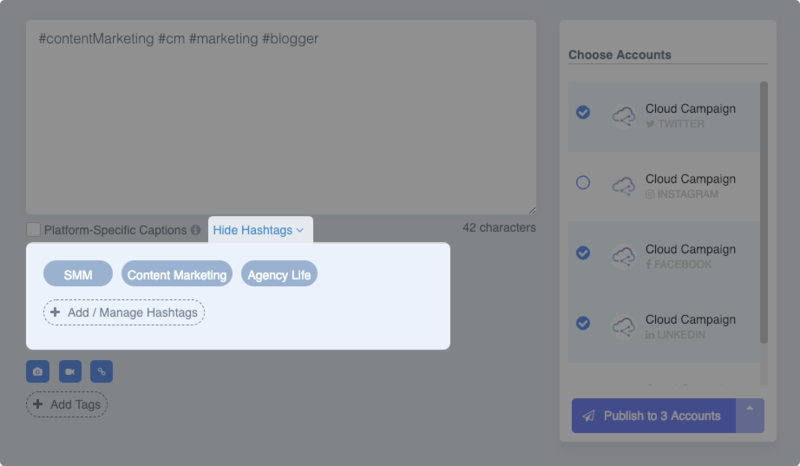 Store collections of commonly used hashtags to save time when writing captions. Simply click on the collection name to add those hashtags to the caption. Hashtag Collections are unique to each brand you manage. 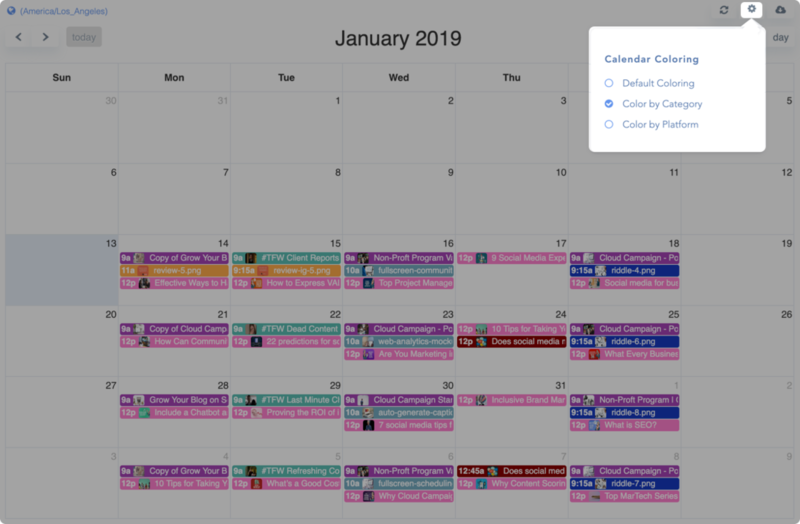 Get a better grasp on your scheduled posts by coloring your posts on the calendar. We currently support coloring by category and coloring by social media platform. Instagram has strict guidelines when it comes to image aspect ratios. Specifically, aspect ratios need to be between 0.8 and 1.91 for w:h.
Previously, images that didn't fall into these strict guidelines could not be posted and would result in a notification being sent to your phone or email. Today, we built in a feature that automatically adds a white background to images with improper aspect ratios to simplify direct publishing. Images that are too tall or too wide will now have a small white background added for Instagram publishing. No additional work is needed from you - this new feature is automatically turned on for your account. 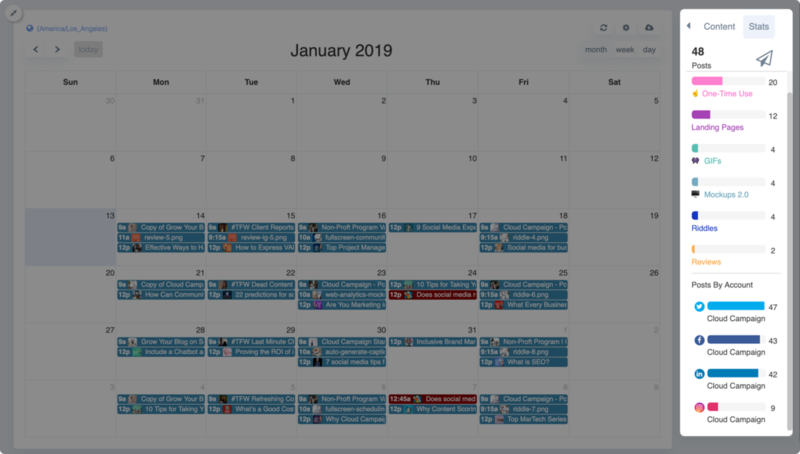 You can now subscribe your clients or colleagues for the Weekly Account Update emails without adding them as a user to Cloud Campaign. To do so, navigate to the appropriate brand and click on the gear icon to open your Brand Settings. Click the Notifications tab, type in the subscriber's email, and click 'Add Recipient'. You can now schedule videos to YouTube and track engagement and impressions for your recent videos! To link a new YouTube account, navigate to your brand settings, click 'Add New', and choose YouTube. Most 3rd party apps, such as Cloud Campaign, don't have the ability to publish directly to Instagram. 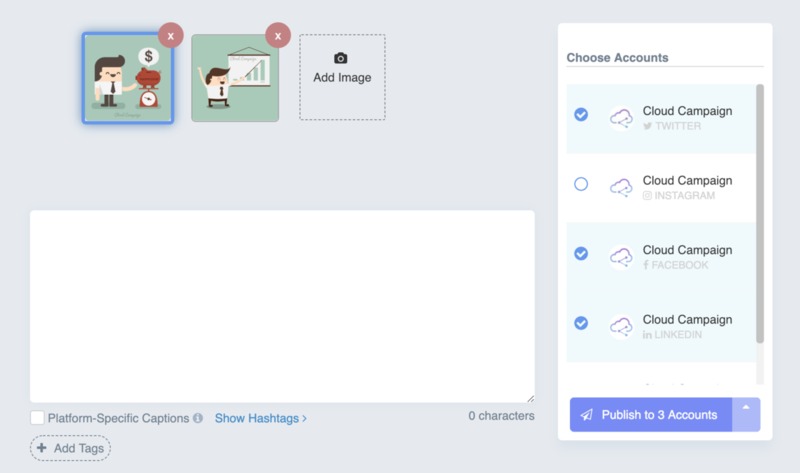 Luckily, our friends at Buffer have access to direct Instagram publishing and have a system in place that enables us to publish directly to Instagram through them. 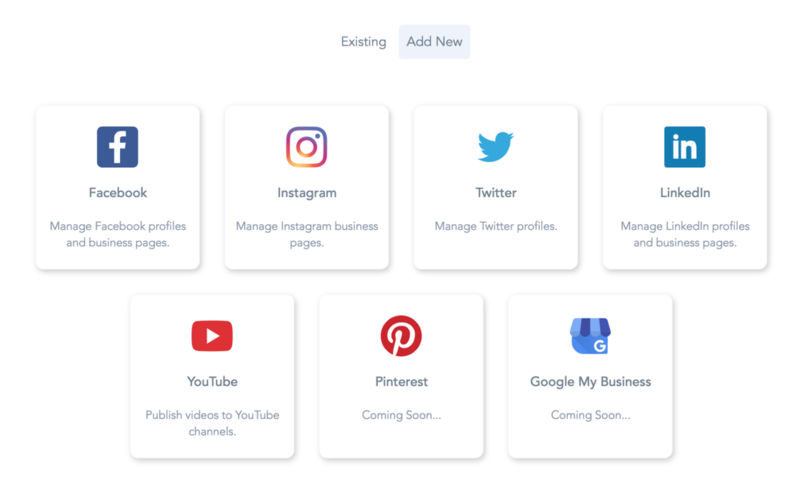 Follow these steps to start scheduling directly to Instagram from Cloud Campaign. Surely Cloud Campaign will start publishing changelogs very soon.